If wacky racing games are your jam then Blur is definitely one of the best games out there that fulfills the thirst for racing while also letting you blow other cars up. Blur actually finely mixes the exciting racing action from Project Gotham Racing with some explosive weaponry to give you a more Mario Kart like gameplay, just more serious and explosive in nature. The game offers up to 4-player split screen multiplayer mode where you can duke it out with friends in one of the 5 game modes. 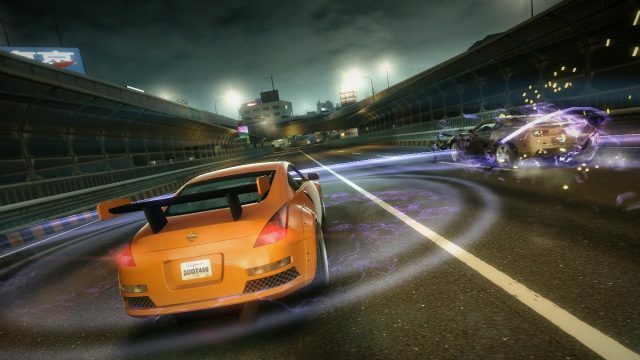 Some modes focus heavily on the racing part while other modes are focused on damaging your enemies and destroying their vehicles. Blur is more like an arcade racer similar to Mario Kart and offers an exciting multiplayer experience. 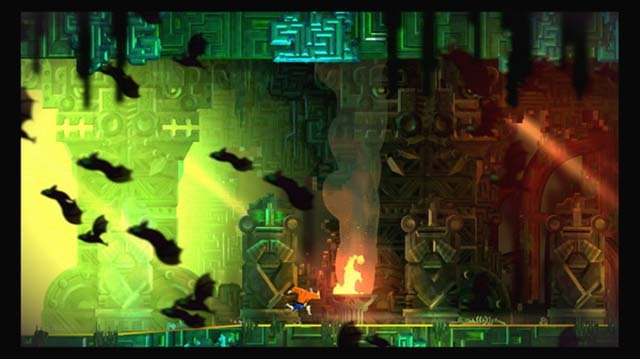 While Guacamelee 2 isn’t a split-screen game by definition, it does support local co-op which qualifies it as a couch co-op title. The game allows up to four players to play on the same screen at the same time and experience the entire story together. For those of you who aren’t familiar with the title, Guacamelee 2 is a metroidvania platformer in which you control a luchador who fights his way across a number of beautifully handcrafted levels with a ton of different enemies. With each subsequent level, your fighter learns some cool new abilities which really come in handy on later levels. Third-person shooter Gears of War 4 is another great split-screen game that you can play on your PC. 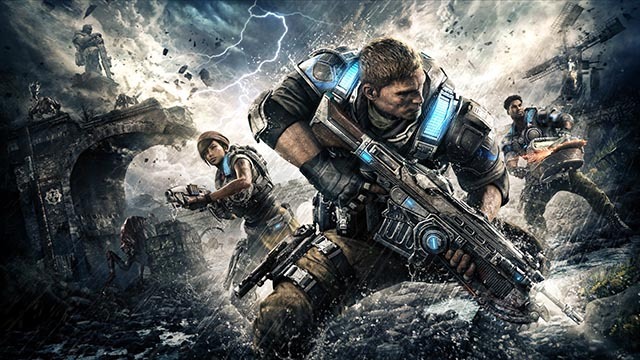 While the Xbox One version of the game supports split-screen play for both the campaign and the multiplayer mode, the PC version of Gears of War 4 only offers split-screen support for the campaign. Which means that while you’ll be able to enjoy the entire campaign along with a friend, you won’t be able to enjoy the online multiplayer mode in split-screen on your PC. Gears of War 4 is a must have for any of you who enjoy shooting games and want to share the experience with a friend at home. 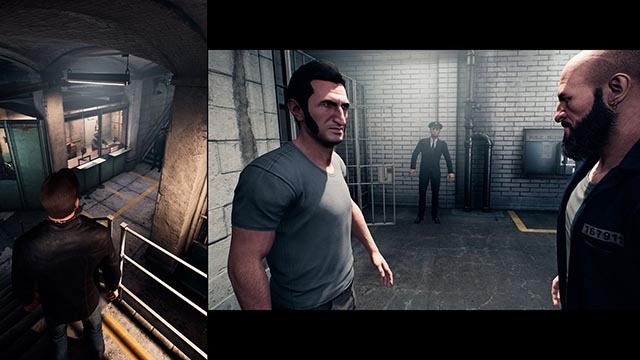 One of the newest titles on this list, A Way Out is a co-op only adventure in which you and your friend play as Leo and Vincent, two convicts planning their daring escape out of prison. As you’d expect, the game features local split-screen co-op in which both the players see the game from their character’s perspective and have to work together to get their plan into action. The game doesn’t have a single player option, but it does offer online co-op support, so you can play it with anyone who also has a copy of the game. Get your armors up and sharpen your blades because it’s time for some serious hack n slash. 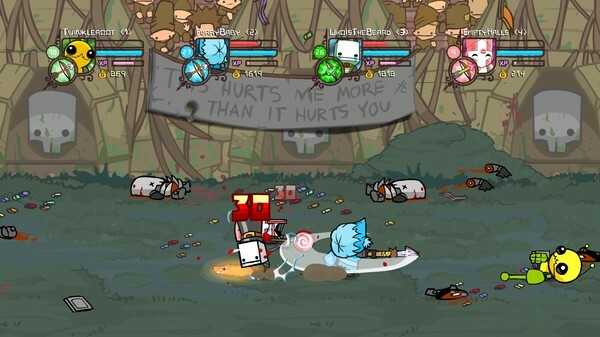 In Castle Crashers, hack n slash your way through multiple levels and crash some castles to save your princess. Team up with your friends in up to 4 players multiplayer mode and crash all the castle parties in barbarian style. Slash anyone who gets in your way. The game offers a beautiful cartoony graphics style and a cheesy background soundtrack that really makes the entire gameplay experience more immersive. If you are looking for a hack n slash adventure along with your friends then this is definitely an amazing game for you to try. Cuphead is another great game that you can enjoy with your friend on the same screen, making it an essential addition to this list. I first saw Cuphead while watching a League of Legends stream on Twitch and the game’s old-timey graphics, coupled with the fast gameplay really got me intrigued. 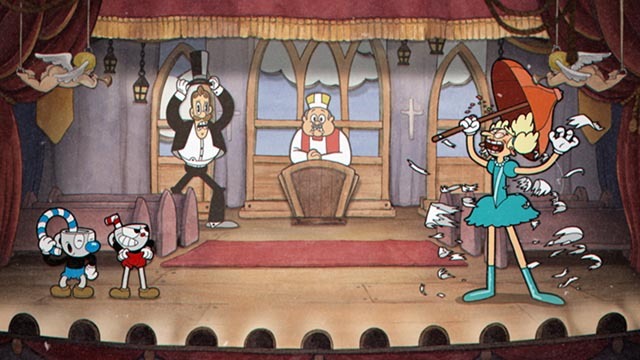 For those of you who aren’t familiar with the title, Cuphead is a run and gun shooting game in which you control animated Cuphead, and his brother Mugman when you play the local co-op option, to fight through level after level of enemies to replay your debt to the devil. Cuphead is really fun to pick up and extremely difficult to master, making it a must have for any of you looking for a fun local co-op game to play on your PC. Just pick any LEGO game and you will find that most of the LEGO games are built solely for the purpose of having fun along with your kids or even your significant other. You can even play with a friend, but LEGO actually caters to the younger gamers. 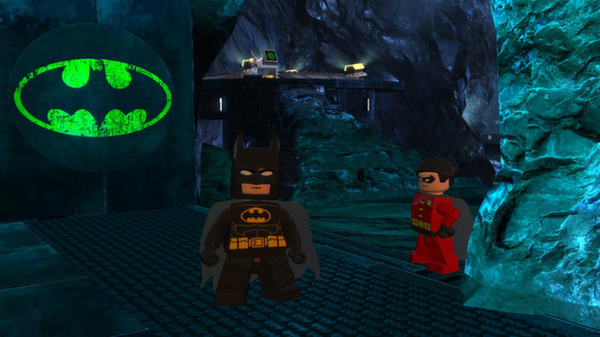 LEGO Batman 2 offers a dynamic split-screen experience where you get to control the slightly humorous LEGO Batman and Robin along with their superhero friends from other DC comics and cartoons. Running around Gotham city and beating bad guys has never been more fun. You can now serve justice to the criminals in the city along with your trusted sidekick. This game works really well for a parent/kid gaming session because it’s family friendly and boasts a very easy gameplay which anyone can learn in minutes. 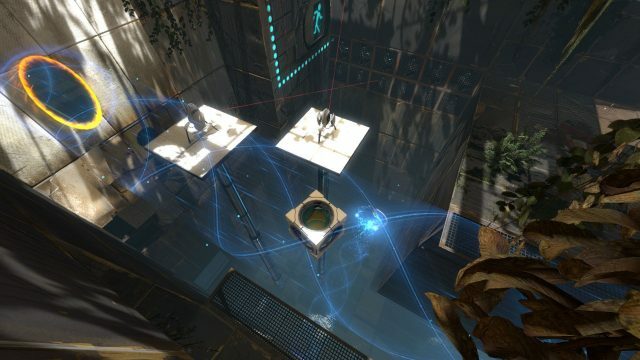 Portal 2 is all about solving puzzles and going through different dimensions for solving each part of the puzzle. Even though the multiplayer mode in Portal 2 is not as intriguing and exciting as the single-player campaign, if you are with your friend and want to shoot some portals around then it’s the perfect one. Just by adding a second player to the game, you get to experience such fun and complex puzzles that are not even possible in the single player mode. You need to work together with your friend in the split-screen mode to solve all the puzzles and overcome each obstacle along the way. Definitely, a must try for puzzle enthusiasts. Borderlands: The Handsome Collection features all of the games in the Borderlands franchise, all of which come with local co-op support. While the game doesn’t come with a split-screen option built-in, there are ways you can configure the game to work in split-screen on your PC. 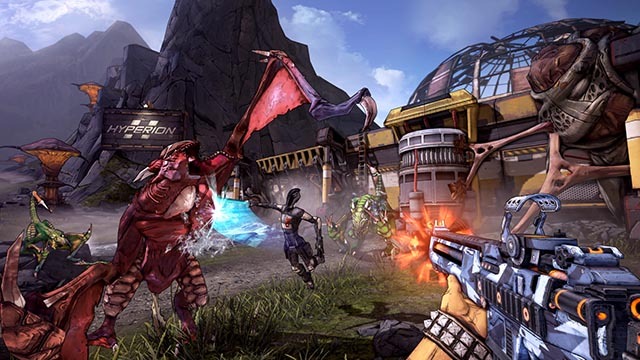 If you aren’t familiar with the Borderlands franchise, it’s a first-person shooter which is renowned for its co-op mode that allows up to four players to play the game at the same time. In Borderlands, you take up the role of one of four vault hunters as you fight against hordes of enemy creatures. The Handsome Collection packs in both Borderlands 2, and Borderlands: The Pre Sequel in one bundle, offering you hours of co-op gameplay with your friends. While Sonic and All-Stars Racing Transformed is considered a Mario Kart rip-off or clone by many, this game offers some unique gameplay elements that make it stand out. 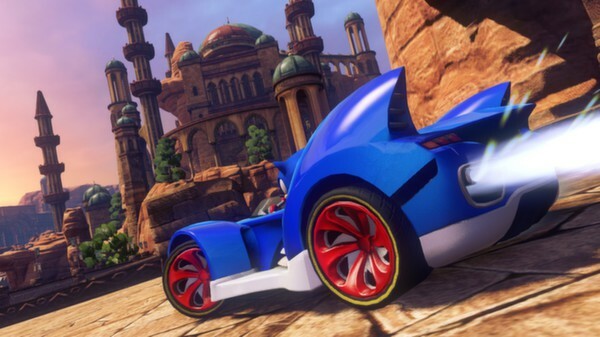 Although, the game is definitely inspired by Nintendo’s very popular franchise, the best thing about Sonic All Stars Racing is the fact that it’s easily available on PC and you can enjoy it with your friends in amazing split-screen modes for maximum enjoyment. You get to choose different racers from the Sonic universe, including but not limited to the popular ones like Sonic himself, Knuckles, Tails, and much more. If you like a more cartoony style racing game then this is definitely a good try. 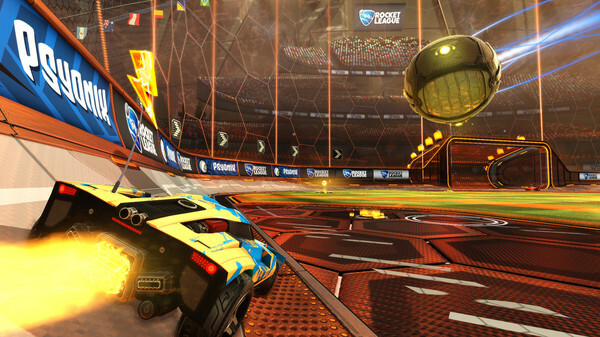 Everyone knows Rocket League, it’s one of the most popular sports titles out there. When you merge Football (Soccer) with racing cars and add some janky physics to the mix then you get a perfectly exciting game called Rocket League. The split-screen experience in this game is just perfect. You can team up with your friend in split-screen mode and go against other players from the world in 2v2 online matches. It’s fast paced racing game where the main objective is to hit the ball in the opponent’s goal post. Whoever scores the most goals in 5-minutes wins. If you are looking for an exciting game to play along with your friend then you should definitely try this out. 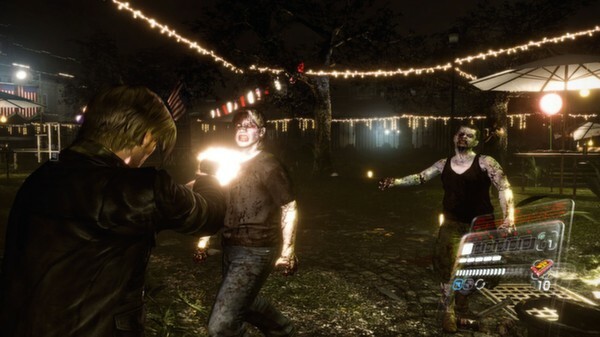 Resident Evil 6 didn’t receive higher reviews than its predecessor Resident Evil 5, but it is still a fun game for the split-screen multiplayer purpose. You got to control Leon Kennedy (who actually was made famous by the popularity of Resident Evil 4) as well as other famous characters from the series. The split-screen mode lets you control two characters along with your friend. You have to fend off all the infected people and save humanity from this horrendous fate. The game lets you explore and discover the stories of different characters and learn how every one of them is playing their part in this game. If you are a fan of adventure-based shooters then this is definitely a must try. You can alsp try Resident Evil 5, which offers a split-screen mode but comes with a very cheesy storyline. Worms Armageddon is another not-your-typical split-screen title. Instead, it’s more of a local co-op game. However, Worms Armageddon is considered to be one of the best local multiplayer games that provides an immense amount of fun and entertainment for everyone. Even watching the game is really fun, but playing it with your friends is beyond exciting. Use a plethora of weird and funny weapons and tools to dismantle your enemies and blow them to oblivion. Create a team of different players and go head-to-head in a team versus match. Enjoy the hilarious battles and crazy sound effects along with your friends. 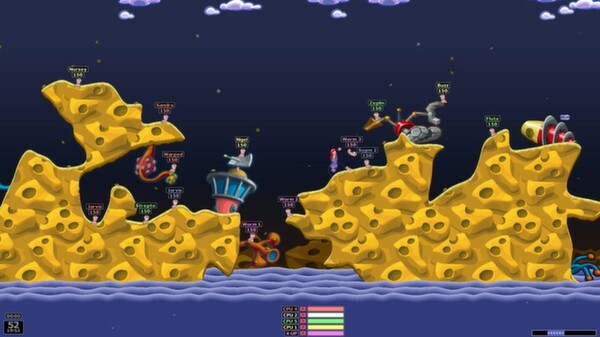 Worms Armageddon is definitely a must try if you’re having friends over for game night. The original Left 4 Dead game introduced the zombie-killing adventure that two players can enjoy together. Nothing beats the fun and excitement of bashing zombie skulls with a plethora of different weapons while working together with a friend in split-screen mode. You can even play with 4 players at a time in the “Versus” mode. Join forces with your friend in the post-apocalyptic world and start bashing some zombie skulls to survive in this world. 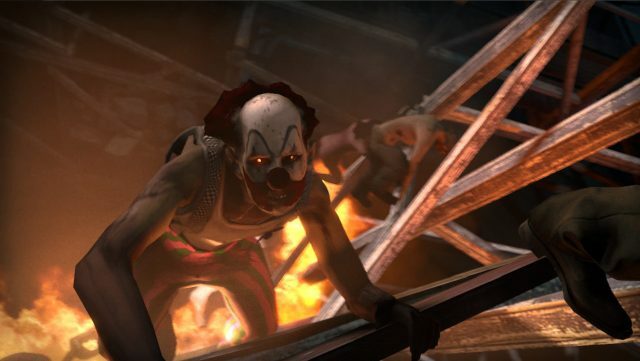 Left 4 Dead 2 also offers exciting new campaigns and modes to further expand the story and gives you, even more, zombies to kill. A must have for all zombie-killing fans out there. In case you wish to experience a great role-playing game with your friend, you should try out Divinity: Original Sin 2. 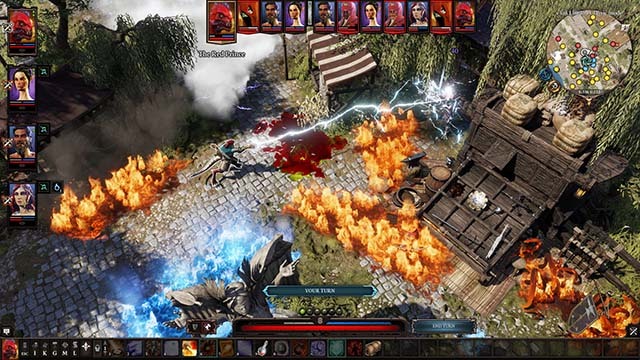 Set in the fantasy world of Rivellon, Divinity: Original Sin 2 takes players on an epic journey, which they can share with their friends on the same screen. While the game comes with support for four player co-op as well, a single machine can only handle two player co-op, so in case you want to play it with three of your friends you’ll require two copies of the game and two systems. The game also features a game master mode which will allow you to add a fifth player to the party who can take the role of the storyteller and create a new adventure on the fly, just as you’d find on popular table-top RPGs. Before you start commenting “A few games are not SPLIT-SCREEN” and bring your pitchforks, I’d personally like to explain that most split-screen games share the same genre, gameplay, etc. Halo The Master Chief Collection offers split-screen, but it plays similar to Call of Duty since both are arcade shooters. Same goes for Borderlands. Most racers have split-screen, so we can’t put them all but we tried to cover different racing styles ranging from arcade to simulation etc. We have actually opted for a few games that serve the same purpose as split-screen games, which is couch co-op experience on a single shared screen. Still, if you think there are some other amazing split-screen games out there then feel free to mention them in the comments below and we’ll probably put up an honorable mentions section for them.